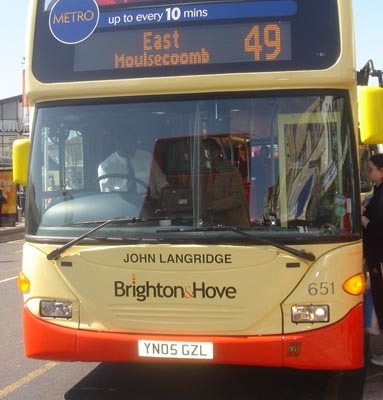 Connections with Brighton and Hove : One of the best cricketers never to have played for England was John Langridge, a Sussex stalwart between 1928 and 1955. He scored 34,380 runs at an average of 37.45 and made 76 centuries. No one scoring more than that number has ever failed to make the national side., He also took 784 catches. Langridge would probably have played for England but for the Second World War. He was picked for the 1939/40 tour of India but it was cancelled. 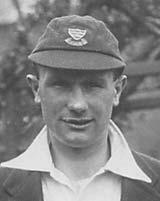 Born in 1910, he was the brother of James Langridge who also played for Sussex. The county had a tradition of brothers playing in the same side. One of his finest records was a stand of 490 for the first wicket with E H Bowley against Middlesex in 1933. Langridge made 195. 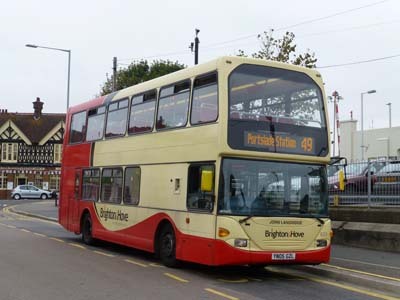 He played under 12 captains and was a member of the famous Sussex side which came second three times in the County Championship during the Thirties. In his last summer of 1955, he held 69 catches, only nine off the record. He then started a second career as an umpire. He celebrated 50 years in cricket in 1978 and stayed on the umpires list until 1980. 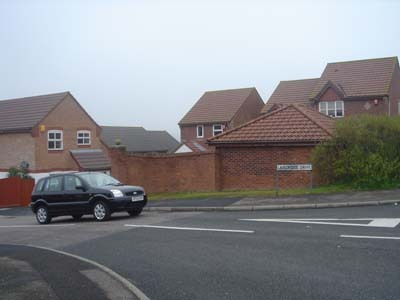 He was awarded the MBE and a street in Portslade is named after him (Langridge Drive). 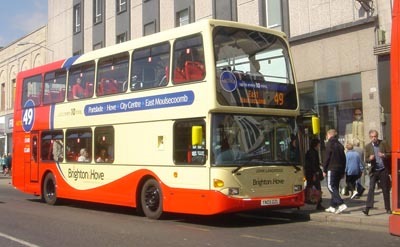 651 - Scania Omnidekka carried name since March 2005 on Metro 49. Metro 49 branding removed August 2012. 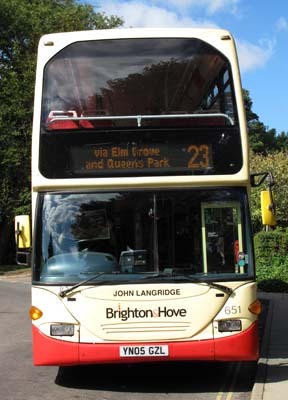 Bus sold in September 2016.